Nick Henderson is remembered for developing an "external voice" for the profession. 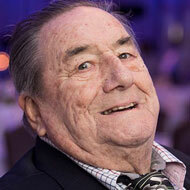 Nick Henderson, founder and president of the Veterinary Marketing Association (VMA), has died aged 92. Mr Henderson passed away on Sunday, 23 December 2018. VMA chair, Jane Manning, commented: “As the founder member and president of our wonderful association, Nick was such an inspiration to all of those lucky enough to meet and work with him. “Nick continued to support the VMA and attend our annual awards event throughout his presidency. We all have some wonderful memories, not least his attendance and fabulous speech to the 300+ guests at our annual awards ceremony in March 2018 at the age of 92. Nick Henderson BSc, MRCVS Fellow of the Chartered Institute of Public Relations, was involved in setting up what was to become the BSAVA, as well as in the development of veterinary societies and associations over the past 60 years. Fulfilling his childhood dream to become a veterinary surgeon, Mr Henderson graduated from Glasgow veterinary school in 1951 and went on to help organise the very first BSAVA congress in 1958. Mr Henderson became the founding chairman of the Pharmaceutical Marketing Club in 1975 and founded the VMA in 1988, followed by the Associations of Veterinarians in Industry (AVI). Mr Henderson also became president of the International Aspirin Foundation and chairman of Henderson Group One. In July 2015, Mr Henderson was awarded an RCVS Honorary Fellowship for services to the veterinary profession. 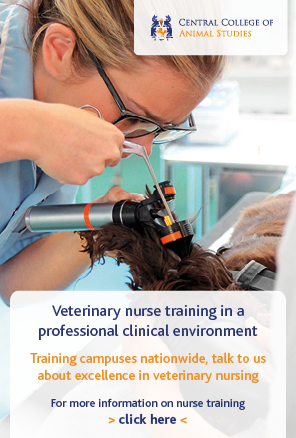 Mr Henderson is remembered and recognised by the VMA as a “tireless campaigner” for veterinary surgeons and for developing an “external voice” for the profession. Mr Henderson’s funeral will take place on Friday, 25 January 2019 at 1 p.m. The service will be held at St Peters & St Paul’s, the parish church of West Clandon, just north of Guildford. All are welcome.